Abu Dhabi Ports, the master developer, operator and manager of the Emirate’s commercial and community ports as well as Khalifa Industrial Zone (KIZAD), successfully completed a detailed crisis practice scenario in cooperation with the Emergency, Crisis and Disasters Management Team in Abu Dhabi and with the participation of 12 governmental entities. The exercise included the National Emergency Crisis and Disaster Management Authority (NCEMA, Crisis Response Office – Abu Dhabi), Abu Dhabi Police, Critical Infrastructure and Coastline Protection Authority (CICPA), General Command of Abu Dhabi Civil Defense, Department of Municipal Affairs and Transport, Environment Agency – Abu Dhabi, Health Authority – Abu Dhabi, Abu Dhabi National Oil Company (ADNOC), TADWEER (Waste Management Centre), Abu Dhabi Tourism and Culture Authority (TCA), Emirates Red Crescent and National Search and Rescue Center (NSRC). Part of the exercise was to test the response time in dealing with the alleged incident, when multiple government entities are involved and expected to react immediately based on a scenario involving the grounding of a vessel as well as an oil spill that could have environmental repercussions on the port’s marine wildlife. 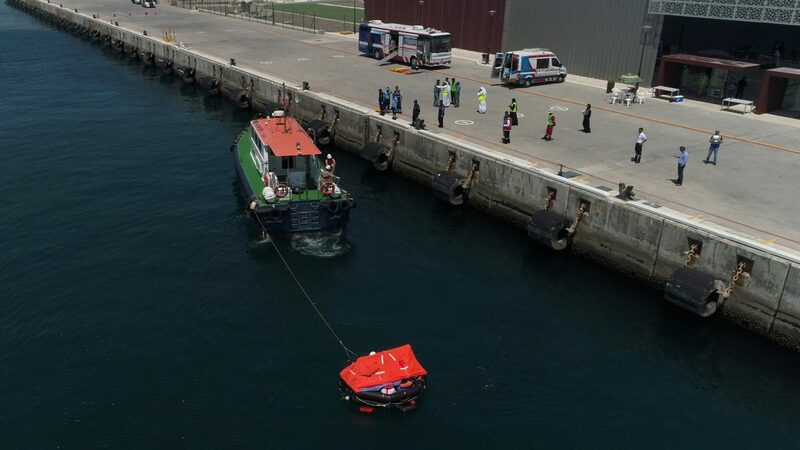 During the scenario, Abu Dhabi Ports activated its emergency and crisis response plan, immediately informing the company’s crisis management team in the company and representatives of government agencies to deal with the accident scenario. The exercise saw a common format to determine the roles and functions of each entity checking available resources, to make appropriate decisions to manage the crisis scenario resulting from the accident. An important part Abu Dhabi Ports’ exercise also measured the effectiveness of its crisis communication plan and the timing of exchange of information with the media on both traditional and digital platforms, and the role it plays in containing crisis scenarios. The plan focused on utilizing social media, in particular, and how this form of communication can mitigate reputational damage through fast transmission of breaking news. 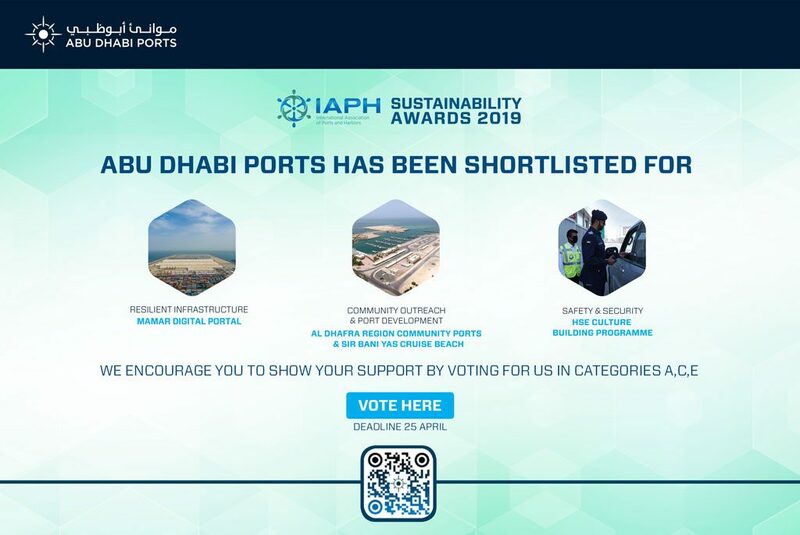 Commenting on this exercise, Captain Mohamed Juma Al Shamsi, Abu Dhabi Ports CEO stated: “we are pleased to have completed this exercise and that we responded to the crisis scenario quickly and diligently, with the cooperation of all government entities that have joined us. A combination of heightened readiness and willingness to harness all resources and possibilities to cooperate with Abu Dhabi Ports in this scenario to meet any crisis or emergency maritime disasters was clearly evident”. Mohamed Al Tamimi, Acting/VP – Regulations, HSE & Security at Abu Dhabi Ports stated, “given the importance attached by Abu Dhabi Ports to enhance security and safety levels in our ports, we have set up this joint exercise as a pro-active step towards practicing any eventuality and, in turn, raising efficiency, saving lives and property and reducing any possible environmental pollution that may result as a consequence. In the midst of a scenario like this taking place, it is critical that once the incident is contained, that there is continuity in the movement of vessels in and out of the port, and a return to business normalcy as soon as safe to do so”.